Indoor Camogie Final | Kilmurry N.S. Kilmurry, Ennis, Co. Clare. 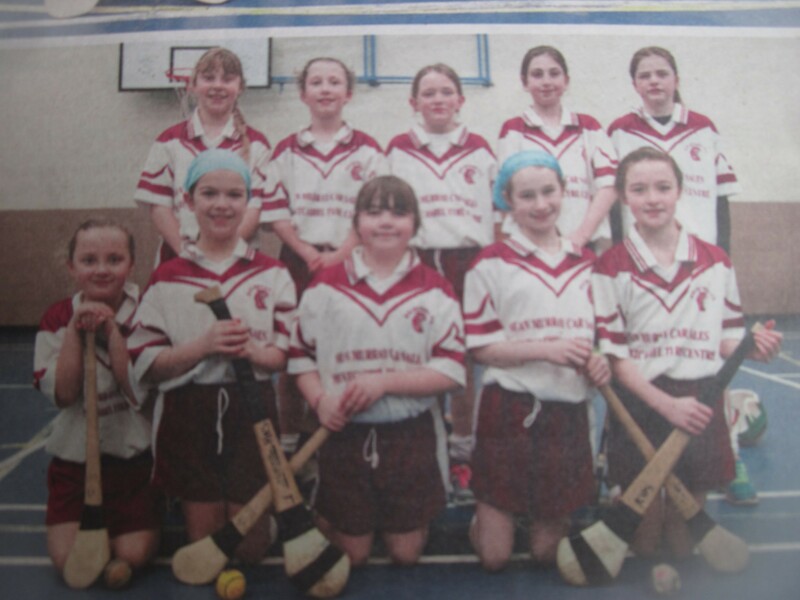 On the 12th of February 4th and 5th class girls went to Cratloe for the final of the indoor camogie. Once we got there, we got warmed up. The first match we played was against Knockanean N.S. They were a tough team as Mr Curran our former principal was their trainer. In the end we drew with them the final score was 3-3. In our second match we played Kilnamona ns. Unfortunately they beat us. The final score was 5-3. We were very disappointed that we lost but we are happy because we came 3rd out of 40 schools. Our captains were Kate Fitzgerald and Josette Hogan. We would like to sincerely thank Jimmy and Ms. Clune for training us. We would also like to thank the parents who drove to the matches and for supporting us along the way. They have been great!